Legislation being introduced in the House of Representatives would require all equestrian helmets manufactured and sold in the US to meet certain safety standards, according to an article on EquusMagazine.com. Congressman Jim Himes of Connecticut is introducing the Christen O’Donnell Equestrian Helmet Act which is named after a 12 year old Connecticut girl who died after falling from her horse. She was wearing a hard hat, but it was not a helmet that met proper safety standards for horseback riding helmets. The bill is supposed to help ensure that riders are not misled by unapproved riding hats that do not protect from severe, potentially fatal, head injuries. The bill would require the Consumer Product Safety Commission to establish safety standards for equestrian helmets based on those developed by the American Society for Testing and Materials (ASTM). 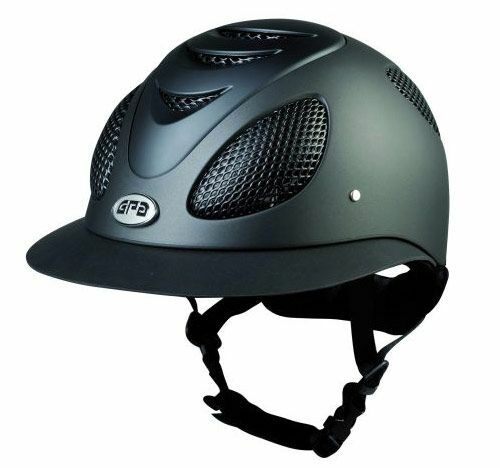 As many riders may recall, most barns require riders to wear helmets that are ASTM approved. This bill will require all helmets manufactured and sold in the US to meet those standards, preventing helmet companies from selling riding helmets that do not in fact meet those standards. For more information on the bill, its supporters, and data supporting the use of ASTM-certified helmets, visit the Equus Magazine article here. The Legal Equestrian is emphatic about wearing a helmet while riding. Not only will it save your life, but it will save you money on medical bills and save your family and loved ones a lot of emotional trauma from an injury that could have been prevented. If you support universal safety standards for horseback riding helmets, please write to your local congressman and ask them to support this bill.